UCLA Slavic Studies no. 8 This interdisciplinary and bilingual collection of critical essays and materials brings together Kuzmin scholars from three countries (the United States, Russia, and Israel) to provide a multi-­‐‑ faceted portrait of Mikhail Kuzmin (1872–1936), a key but underestimated figure of Russian modernism whose artistic output reflects the rich variety of a latter-­‐‑day Renaissance man. 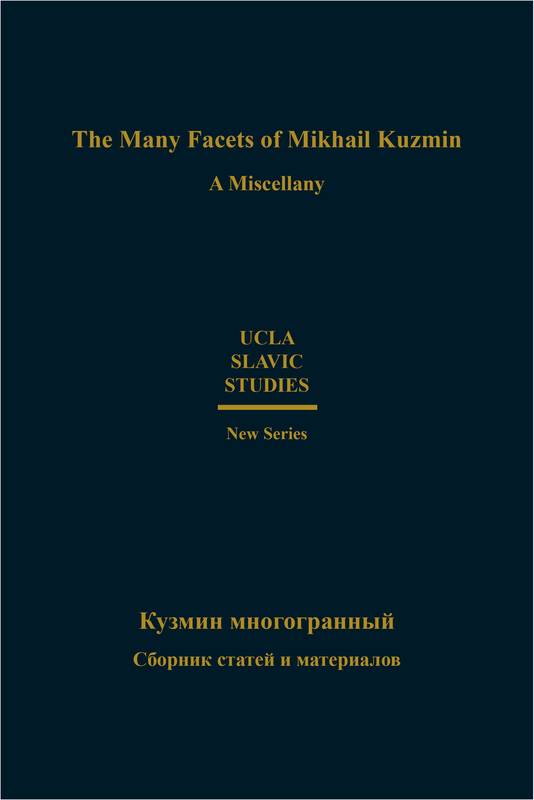 The articles have been grouped under rubrics that identify Kuzmin’s various achievements in poetry, drama, prose, and music; with two additional sections dedicated to his intergeneric poetics and his reflections on literature and the fine arts of his era. Other activities—writing sensational diaries (whose fragments he used to read at private gatherings and published), participating in theatrical performances (as composer, librettist, and even actor), reviewing literary and theatrical events, and last but not least, producing translations, some of which became textbook examples of the art—are discussed in the essays. The present volume also aims at a new interpretation of Kuzmin’s oeuvre. At this point, with the majority of Kuzmin’s works published, his autobiographical writings (including diaries and correspondence) available, and an updated biography (by Nikolay Bogomolov and John E. Malmstad) in print, the time is ripe for moving from a biography-­‐‑centered approach to a concep-­‐‑ tual one.